SAN FRANCISCO/WASHINGTON -- Volkswagen Group has made substantial progress toward reaching a final settlement next month with car owners and the U.S. government over the German automaker's cheating on diesel emissions tests, a federal judge said on Tuesday. But major issues remain, including how much VW may have to pay in fines, which could run in the billions of dollars, to federal and state regulators for violating U.S. clean air rules, as well as an ongoing U.S. Justice Department criminal probe. U.S. District Judge Charles Breyer in San Francisco reiterated that a settlement will include substantial monetary compensation for U.S. owners of 482,000 polluting vehicles that emit up to 40 times legally allowable pollution. The scandal has hurt VW's global business as well as its reputation and led to the departure of its CEO Martin Winterkorn and other executives. The crisis erupted last September after the company admitted using sophisticated secret software in its cars to cheat exhaust emissions tests. As many as 11 million vehicles worldwide have been affected. At a brief court hearing, Breyer said lawyers for car owners suing Volkswagen and the U.S. Justice Department, Environmental Protection Agency (EPA), Federal Trade Commission, the state of California and the company were on track to file the final proposed settlements by June 21. The "parties ... have reported that in the month since we last met they have made substantial progress in intensive daily efforts to finalize the agreement, and most importantly are on track to meet the court's deadline," Breyer said. The U.S. settlement would also include an environmental remediation fund to address excess emissions and a fund to promote green automotive technology. 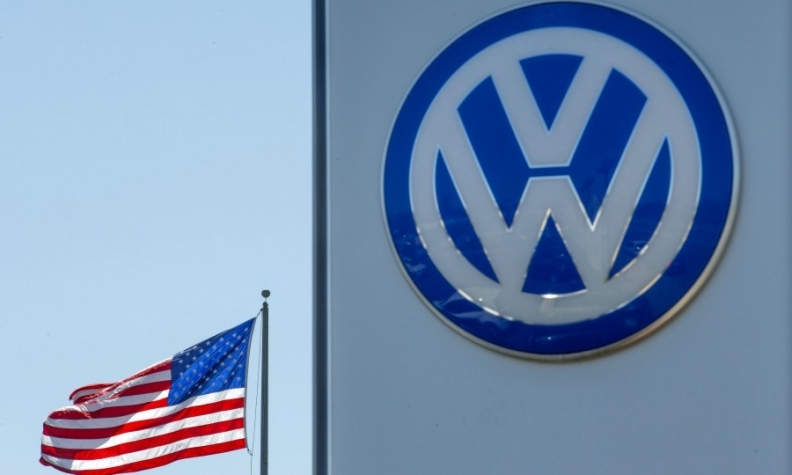 Elizabeth Cabraser, lead lawyer for the U.S. car owners, and a Volkswagen spokeswoman both said the parties were pleased with the continued progress and planned to finalize the agreements next month. Breyer said engineering studies and testing were continuing toward a resolution for the owners of 80,000 larger 3.0-liter vehicles but offered no timetable. The vehicles emitted up to nine times the legally allowable pollution, and it was not clear if the automaker will offer to buy back the larger 3.0-liter Porsche, Audi and VW SUVs and cars under investigation. The EPA ordered VW last September to stop selling all new 2016 2.0-liter diesel vehicles. The ban was extended to 3.0 liter VW, Porsche and Audi diesel vehicles in November. The order remains in effect. After the June 21 deadline the agreement faces a public comment period and must get final judicial approval, which could come at a July 26 hearing. Many thorny issues remain, including what happens to vehicles that Volkswagen repurchases and how the automaker will handle buybacks and fixes if the EPA approves. Reuters reported last month that owners could have as long as two years to decide on whether to sell back their vehicles. VW agreed on April 21 to a framework settlement with U.S. authorities to buy back or potentially fix about half a million cars fitted with illegal test-fixing software, and set up environmental and consumer compensation funds. The next day, Volkswagen said it would set aside 16.2 billion euros ($18.2 billion) and slash its dividend to cover the costs from the emissions scandal. VW believes it will not need to raise the provision. "We know the sum we are facing as of today," the source said. VW could still face further costs, including from a DoJ investigation that could lead to criminal charges, and potential class-action suits. And there is unrest among investors. On Monday, three investor groups called for an independent inquiry, saying the company's investigations may not be sufficiently far-reaching or transparent. Reuters has reported that a Volkswagen official said an investigation by law firm Jones Day into who was responsible for rigging the emissions tests was dragging on. Volkswagen has come under attack from London hedge fund TCI and other investors who say the automaker needs to improve its performance and create a new governance structure. The scandal has exposed divisions between the Porsche and Piech families who own the majority of Volkswagen, the state of Lower Saxony and powerful labor representatives who hold one-half of the seats on the company's supervisory board.